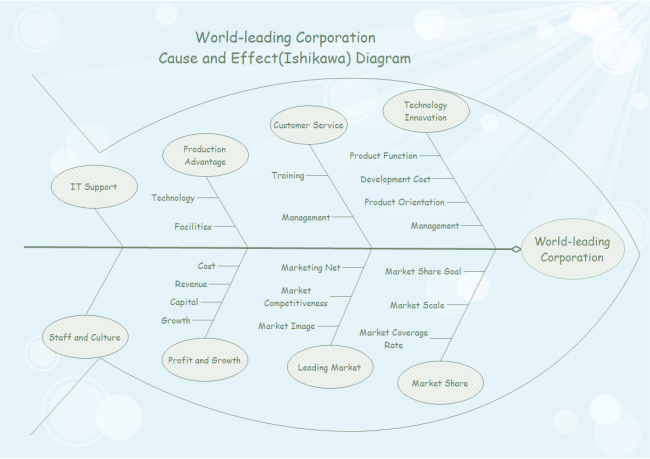 Description: A customizable vector ishikawa diagram template is offered for free download and print. Creating such a diagram requires less than 5 minutes for the predefined shapes. This amazing ishikawa diagram example is created by Edraw Max, which is available in different formats.